This book provides an up-to-date review of the risk factors and genetics influencing the development of this rare disease. This volume presents clinical features and recent advances in histopathology and molecular profiling are analyzed, providing a valuable aid to clinicians in tailoring treatment to both the patient and the tumour. Readers will find important insights into the most effective strategies for making or negating a diagnosis of MBC. 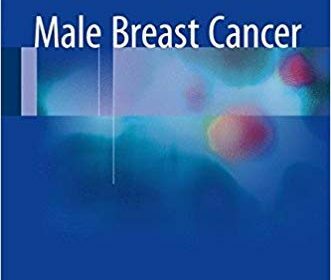 Within this timely volume, consideration is also given to the psychological needs of men with breast cancer alongside a discussion of the most effective support methods. The surgical management of the disease is examined, together with algorithms for local and systemic therapy. Owing to the problem of late diagnosis in MBC, many men have advanced or disseminated disease at diagnosis and, as such, the evidence-based management of these cases is reviewed. Male Breast Cancer concludes with a discussion on determining prognosis and the likely future developments in MBC with a focus on improved diagnosis and survival. Male Breast Cancer will be of interest to breast surgeons, oncologists, breast radiologists, breast histopathologists and breast care nurses worldwide.